Funeral Passing up Broad St. This image shows the funeral procession of Abraham Lincoln as it passed along Broad Street in Philadelphia. 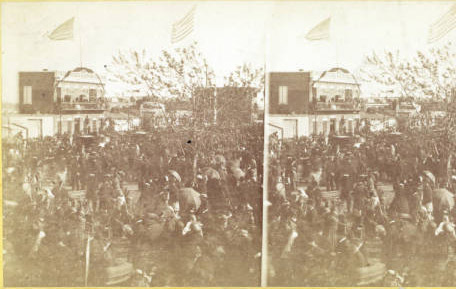 In the background American flags fly in the breeze and spectators gathered along rooftops and the balcony of the Union House & Dining Saloon.